Property: The property has a second level office space. Current configuration is set for a call center use, with room for up to 68 cubicles. Space currently has a larger server room, break-­room, conference/training room, and three private manager offices. Building has elevator access of north Kentucky Avenue, next to Mitchell’s coffee. Lots of natural light and additional outdoor shared break area is available. Parking is currently available at a ratio of 5:64 per 1000 rsf, with additional available per separate agreement. Ample street parking for visitors. Location: This site is located in the heart of the CBD. 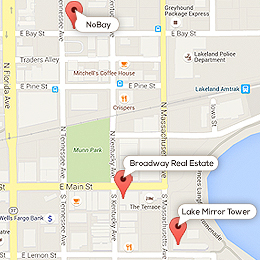 Downtown Lakeland offers easy access to a plethora of restaurants, retail, banks, city offices and parks. Lakeland is located approximately 35 miles east of Tampa and 55 miles southwest of Orlando along Interstate I-­4. The city is home to Florida Southern College, Florida Polytechnic University, Southeastern University, Polk Community College, and Publix. Lakeland is showing positive job growth and offers a lower cost of living than area other areas along the I­-4 corridor. There are over 10,000,000 people within a 100­ mile radius of Lakeland; a fact that is causing exponential growth in the area. three units and remodel one at a time. services are within very close walking distance. Zoning on this site is C-7 and allows a wide variety of applicable uses and is parking exempt. 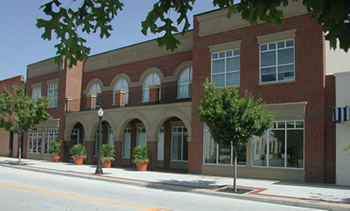 It is in the Munn Park historic district and downtown CRA, through which many economic incentives for business and development interests lie. Downtown Lakeland is very easily access via I-4 or the Polk Parkway. Lakeland is the largest city in the county with over 100,000 residents in the city limit alone. 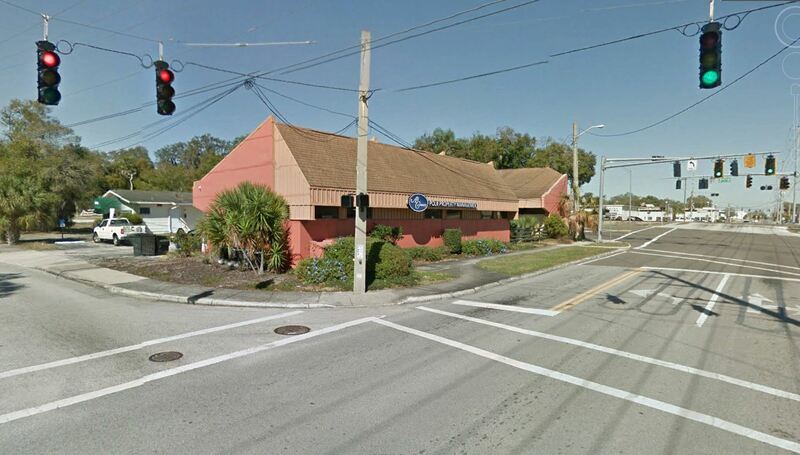 Property: This South-Central Lakeland retail space on E. Edgewood Drive is within a 9,300 sqft strip center. 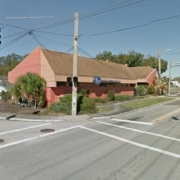 Excellent neighborhood center, now offering 1,088 sf of retail, glass front space. and the downtown area via Bartow Road. Complex is nearly 100% occupied and very well known in the area. other areas along the I-4 corridor. There are over 10,000,000 people within a 100-mile radius of Lakeland; a fact that is causing exponential growth in the area. Rate: $13 per sf, modified gross. 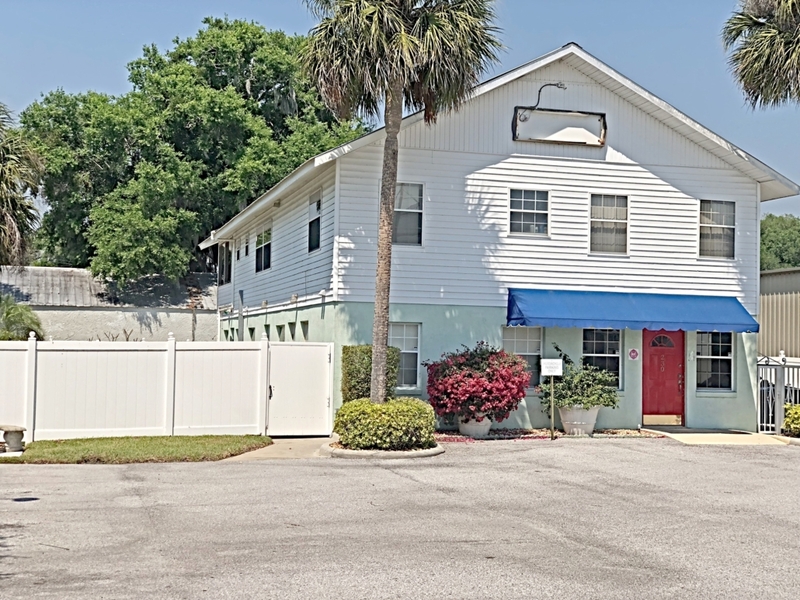 Property: Multi tenant office complex, with one available, fully remodeled suite of 675 rsf, which includes a reception are, waiting room and three offices. 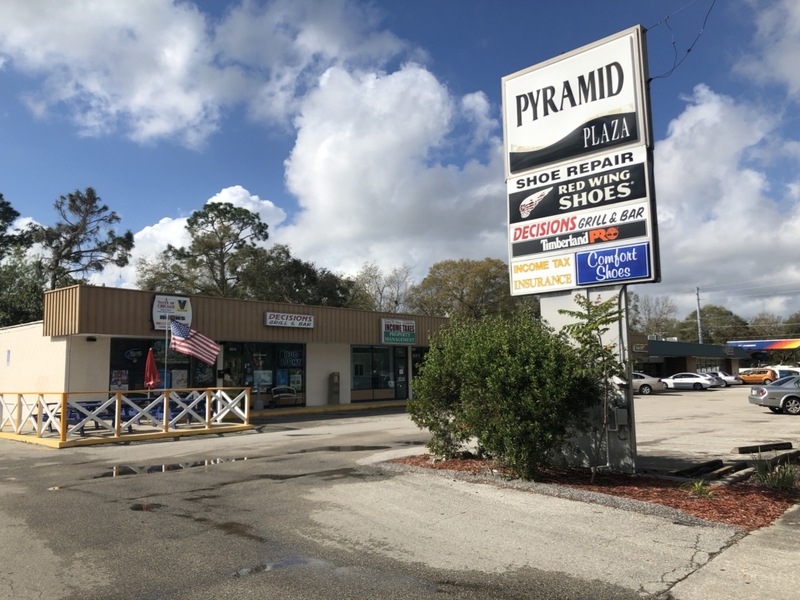 Ample on-site parking is available and excellent sign exposure to highly traveled US Hwy 98 S which has over 27,000 VPD traveling this major thorough fair. 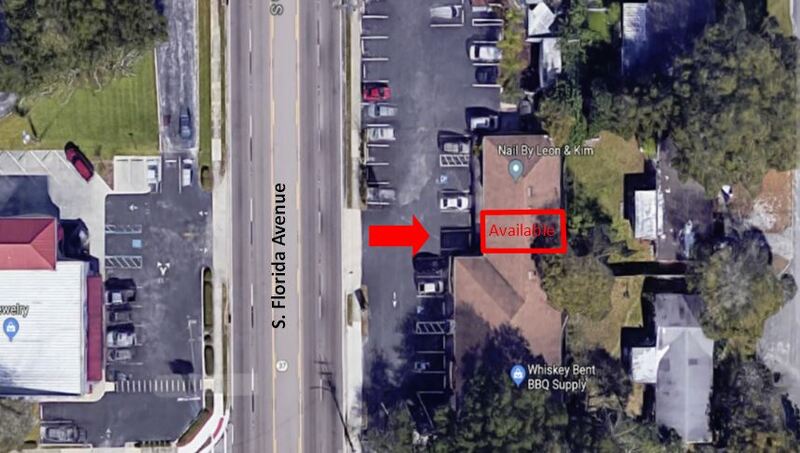 Location: This multi-tenant office plaza is conveniently located on the corner of Ingraham & US Hwy 98 North within minutes from downtown Lakeland, in the historic Garden District. This is a highly visible location and easily accessible from any part of the city. most notable office buildings. Co-Tenants include, Merrill Lynch, Broadway Real Estate, SCORE, StoreRight, and more! Location: The site is located in the heart of the CBD, directly across from Munn Park on Main St. 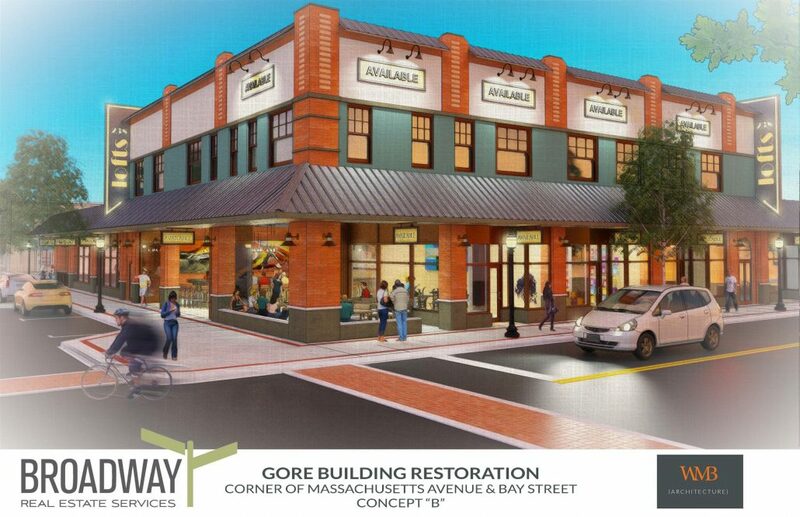 It is steps away from area retailers, banking, city parks and offices, restaurants and parks. The tree lined streets surrounding Munn Park are highly sought-after retail locations. Downtown has valet parking along with two-hour free parking surrounding this area. Property: This is 9 acres of high and dry land. Future land use of Linear Commercial Corridor (LCC), with a wide array of allowable uses (see list in flyer). There is appx. 673’ of frontage along US 98. Excellent demographics with over 77,000 population and average household income over $66,000 within the five-mile ring. Traffic counts in this area 36,000 AADT. DOT median cut at the southern end of the property allowing for access to northbound traffic. Water and sewer lines run along the eastern side of US 98 across from the property. 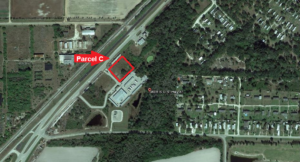 Location: Site fronts on US 98 north in northern Lakeland, FL. 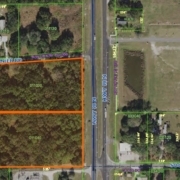 Property is appx five miles north of I-4. Area Information: Lakeland offers its residents, businesses and visitors a true sense of place. Incorporated in 1885, Lakeland quickly became one of the premier cities in Florida and has always been a hub of innovation and progressive ideas. Today, the City continues to thrive as population and business expansions are attracted to this area, the geographic center of Florida. Lakeland’s economic base consists of warehouse, transportation and distribution, education, health care, manufacturing and retail. Lakeland is located approximately 35 miles east of Tampa and 55 miles southwest of Orlando along Interstate I-4. The city is home to Florida Southern College, Florida Polytechnic University, Southeastern University, Polk Community College, and Publix. Lakeland is showing positive job growth and offers a lower cost of living than area other areas along the I-4 corridor. There are over 10,000,000 people within a 100-mile radius of Lakeland; a fact that is causing exponential growth in the area. Lakeland has received the distinction of being on Money Magazine’s “Best Place to Live in America” list. In addition, Lakeland is home to Publix Supermarkets, Florida Southern College, which hosts the largest one-site collection of Frank Lloyd Wright architecture in the world and is the winter home to the Detroit Tigers. The City of Lakeland offers an exceptional quality of life. A firm commitment to downtown development, redevelopment, historic preservation, cultural amenities, and an exceptional business-friendly environment has helped Lakeland to thrive for 130 years. 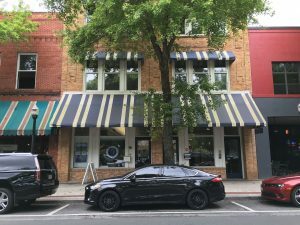 PROPERTY: This is a beautifully remodeled 12,000 ft.², three-story office building in the heart of the central business district. Second floor vacant suite has 3,100 RSF perfect for office user with four private offices, conference room, work room with both storage and server room. All common areas in the overall building have been completely remodeled with a very trendy combination of modern amenities, of preserving the unique historical elements of the property. LOCATION: The site is located in the heart of the CBD, directly across from Munn Park. It is steps away from area restaurants, banks, retail/shopping, parks, and city offices. Excellent downtown location! 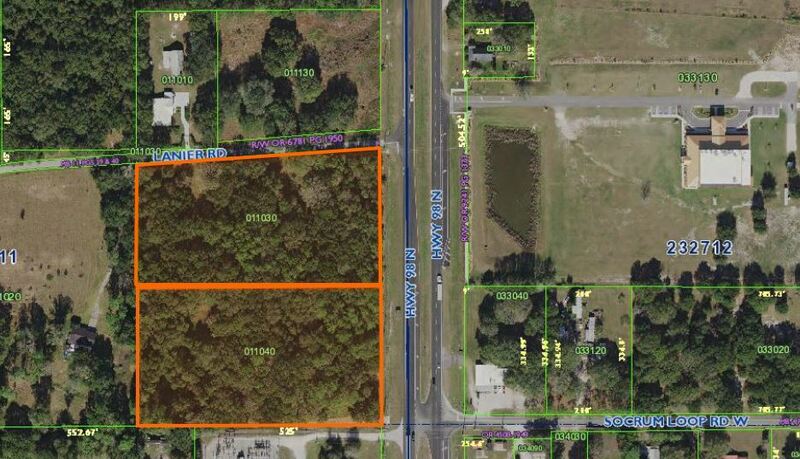 Location: This site is located on four lane, S US HWY 41, just minutes from I-75. Within 25 miles from the port of Tampa and just 7 miles from the Port of Manatee and over 69,000 people within a 15 minute drive time. Average Income for the surrounding area is $55,900. Over 1.3 Million residents call the Tampa Bay Area home. With the population growing and projected growth in Hillsborough projected at 7% by 2021. With the Ruskin area projected growth at 12% or more. The surrounding area is pristine with it many Lakes and rivers as well as the Gulf of Mexico. Located within minutes from Sun City America’s premier “55-and-better” Master-Planned Community still growing and blossoming with new homes and new businesses. This Area comprises a very large part of Hillsborough County in which there are more than 20,000 private homes and some 14 facilities providing a multitude of senior living options This area is not just a retirement community. With the arrival of the Amazon distribution center just across the Interstate, this area is poised to have a huge growth spurt over the next three to five years, making southern Hillsborough County one of the premier places to do business. Also adding to this is the construction of the new science building at Hillsborough Community College. All within minutes from this site. The Tampa Bay Area is growing and home to more than 326,600 millennial’s between the ages of 18 to 34. Surrounding Airports: Tampa International offers nonstop access to major cities worldwide, with 257 daily departures to 80 domestic and international destinations, as well as world-class corporate aviation services with separate customs and border protection facilities. Bradenton/Sarasota International Airport located just 26 miles to the South.